Do you support such a move in your state? 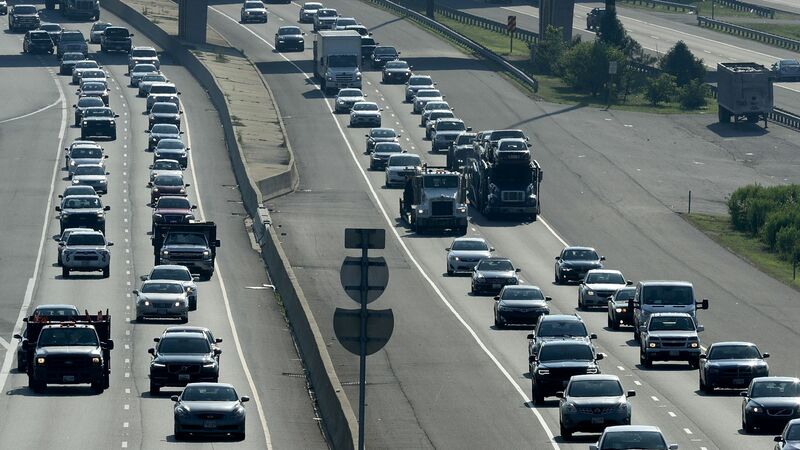 Nine Northeast and mid-Atlantic states are teaming up to cap and reduce carbon emissions from transportation in the region. Why it matters: Cars, heavy trucks and other transport have surpassed electricity production as the largest source of U.S. emissions in recent years. The big picture: The rough plan announced Tuesday is a stark new example of states pushing ahead with climate initiatives as the White House is dismantling federal policies. EPA and the Transportation Department recently proposed plans to greatly pare back Obama-era vehicle mileage and emissions standards for the years 2021–2025. Where it stands: The states are Connecticut, Delaware, Maryland, Massachusetts, New Jersey, Pennsylvania, Rhode Island, Vermont and Virginia. Washington, D.C., is on board, too. But, but, but: The program design, including the emissions pricing mechanism, isn't yet clear. The states intend to create the specifics of the program over the next year. They intend to funnel the revenues into "low-carbon and more resilient transportation infrastructure." Their joint statement touts the benefits of public transit, transit-oriented development, zero-emission vehicles and more. But the states did not lay out specific emissions-cutting or revenue goals.